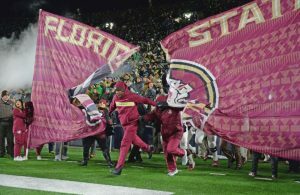 The big news came in on Monday as it was reported that Florida State quarterback James Blackman had placed his name in the NCAA transfer portal. The news came as a bit of a surprise to many as Blackman was thought to have a pretty good chance at starting as a redshirt sophomore in 2019. Blackman isn’t the only FSU player to place his name in the transfer portal. 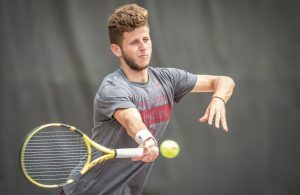 Why he should stay: A redshirt freshman for 2019, Adams has refuted the notion that he would be leaving the program. Adams still has four years of eligibility left and could blossom into an important piece for FSU down the road. Why he should leave: FSU signed five wide receivers during the 2018 cycle. Among those, only Keyshawn Helton was rated lower than Adams and Helton actually contributed last season. Tre’Shaun Harrison also saw time as a true freshman in 2018 and that’s in addition to returning players like Keith Gavin and Tamorrion Terry. With the depth in front of Adams, it may be 2020 before he saw the field even if he chose to stay. Why he should stay: With just two scholarship quarterbacks on the roster, redshirt sophomore James Blackman could start next season and do so for two more seasons after that. Considering that FSU went 5-7 last season with the more veteran Deondre Francois, playing Blackman immediately may provide the best long-term dividends. Why he should leave: There’s been plenty of speculation that Blackman just isn’t the quarterback that head coach Willie Taggart wants to run his “Gulf Coast Offense”. There’s also been speculation that Blackman wanted to be redshirted in 2018. If that’s not the case however and Blackman’s 421-yard, 4-touchdown passing performance last season against NC State wasn’t enough to win the job, there’s no guarantee that anything else ever will be. Why he should stay: After being riddled with injuries his three four years on campus, George Campbell actually made small contributions last season with four catches for 42 yards. The former 5-star recruit hasn’t lived up to his billing and it’s possible that some continuity for his final season could be better for him than trying to make a splash for a new program. Why he should leave: FSU will be loaded with second- and third-year talent at wide receiver in 2019 and the odds of Campbell working himself into the mix seem slim at this point. A Group of 6 school or a team depleted at the position would need Campbell more than the Seminoles. 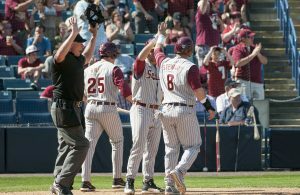 Why he should stay: Alex Marshall has seemed to hint that he won’t be leaving the FSU program. Marshall is one of two tight ends to put his name in the transfer portal and still has three seasons to make an impact. At the very least, his 6-foot-8 frame could make him a situational player. Why he should leave: For a program that had six scholarship tight ends — including two converted fullbacks — Marshall was the only player who did not see the field last season. Tre’ McKitty is likely to be the primary player at the position this season and the younger Camm McDonald may be a better fit for the Gulf Coast system. Why he should stay: Like Adams, Xavier Peters has been adamant that he will return to Florida State in 2019. A redshirt freshman to-be, Peters’ raw athleticism could make him the best pass rusher for FSU this coming season with Brian Burns leaving early for the draft. With other defensive ends like Wally Aime leaving, Peters will at the very least be part of the rotation up front. Why he should leave: The only conceivable reason for Peters to leave would have to be scheme or location. A native of near Cincinnati, Peters is a long way from home. There could always be the possibility that he feels his skill set could be better utilized in another defensive system. Why he should stay: Set to be a senior, there is a case to be made that Amir Rasul could be part of the rotation in the FSU backfield. Rasul has more experience than Anthony Grant and isn’t coming off an injury like Khalan Laborn. As long as Cam Akers is healthy, he’ll be the feature back. Why he should leave: For a backfield that lacks depth, Rasul may very well end up fourth on the depth chart. Akers will carry the load and Laborn is too talented not to see plenty of touches this season. Playing Grant, a sophomore, also seems like a better long-term plan. Why he should stay: With the exception of Dontavious Jackson, Florida State is still relatively unproven at the linebacker position. Thomas ranked fifth in tackles among linebackers with eligibility remaining and reports are that Zaquandre White will not be returning to the program. Returning — even if it is as a reserve — might be a better prospect than trying to make a name for himself at a fourth college in five years. Why he should leave: The Seminoles are set to return their top three tackling linebackers — Jackson, DeCalon Brooks and Leonard Warner — from a season ago. Thomas has struggled to get off blocks and with younger players like Emmett Rice, Josh Brown and incoming Kalen DeLoach vying for time, Thomas may be little more than a special teamer. There have been conflicting reports about Thomas’ intentions. 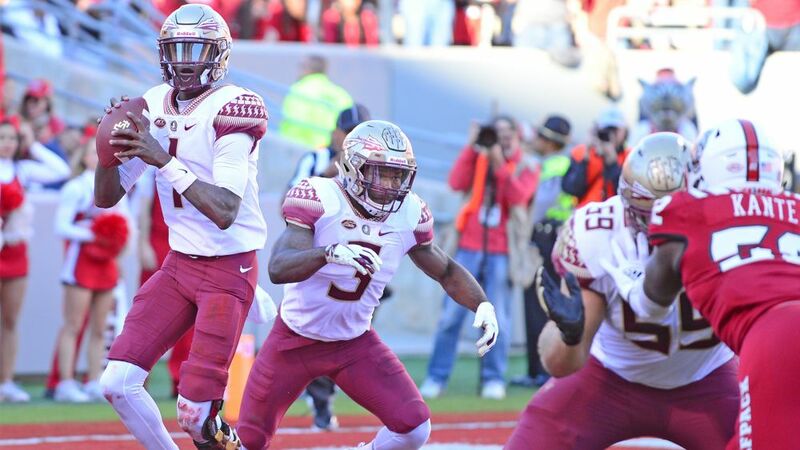 Why he should stay: Although it took two and a half years for Naseir Upshur to get involved in the passing game, the senior-to-be was the most productive FSU tight end over the final three weeks of the year. Upshur may also have the claim of being the best blocking tight end on the roster. Why he should leave: At 6-3 and nearly 240 pounds, Upshur was recruiting to be more of an in-line tight end in Jimbo Fisher’s offense and his skill set may work best in a pro-style offense. With Tre’ McKitty’s emergence last season, Upshur will at best be the No. 2 on the FSU roster.